Idea Cellular second quarter net profit more than doubled to Rs 240 crore on consolidated basis on subscriber additions and growth in third generation (3G) user base, compared with a net profit of Rs 105.76 crore for the same quarter a year ago. The company’s operating profits earnings before interest and taxes (EBITDA) grew by 23.6 per cent during the quarter from 22.4 per cent posted during the same period a year ago. Its minutes of usage rose to 125,646 million during the quarter under review (from 106,224 million), while non-voice revenues contributed to 15.6 per cent (13.2 per cent), while revenues from 3G services accounted for 5.4 per cent. However, the company’s average revenues per user fell to Rs 148 per month during the quarter from Rs 155 posted in the year ago quarter.Idea Cellular’s sequential quarterly revenues slid by 3.4 per cent from Rs 5,538.2 crore recorded in June quarter. 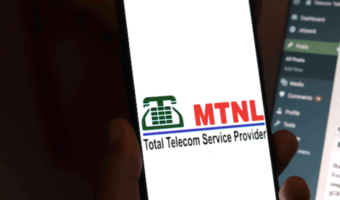 The telecom service provider had a net debt of Rs 10,650 crore as of September end. Idea is good not better , in call clarity its disappoint me, 2G internet good net speed with 7-13KBPS download speed , 3G worst service , tried DelhiNCR +Kolkata you will get speed 60KBPS around means around around 512kbps bandwith and when this operator increase it traffic only GOD can tell. We regret the inconvenience caused to you. May we request you to reply to us with your complete account details such as Full name, mobile no., alternate contact number and the type of Inconvenience you are facing. Also mention the token ID 205IC301167 in the subject.